ZEOSS Gas ETO Sterilizer . Zeoss Ethylene Oxide Sterilizer series are the sterilizers operated by means of diffusion technology. 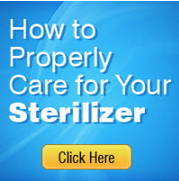 It makes the tools ready in 16 hours period after sterilization and aeration in the direction of AAME standards. The most distinctive specifications of the Zeoss Ethylene Oxide equipment are offering a durable, firm, and quality structure to the user.